"Entirely distinctive and very original"
The Julian Siegel Quartet has had a major impact on the UK jazz scene since the release of its debut album, 'Close-up,' in the autumn of 2002. Led by saxophonist Julian Siegel, the group also features three of the most distinctive voices of his generation in the form of Liam Noble (piano), Gene Calderazzo (drums) and Oli Hayhurst (bass). 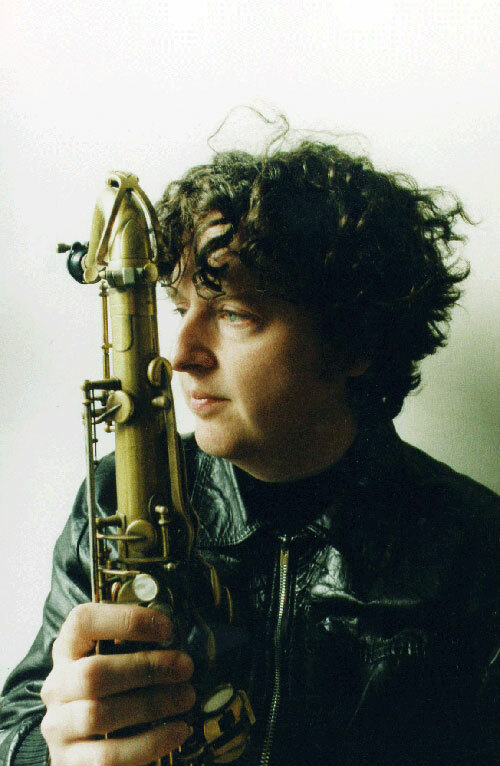 Working a fluent bebop intensity into a fresh modern sound, Julian has established himself as a powerful player and individual writer on the flourishing European jazz scene and was awarded the BBC Jazz Award 2007 for Best Instrumentalist. Julian has toured with bands led by Hermeto Pascoal and Andrew Hill and continues to be involved with the most influential British jazz groups of the day, including those of Django Bates and John Taylor. He has been a member of the well known Jazz-Rock quartet 'Partisans' featuring guitarist Phil Robson and since 2007 has toured and recorded with the Julian Siegel Trio featuring U.S. jazz stars Joey Baron and Greg Cohen. Julian’s much-awaited latest album is available on Basho Records and showcases much of the music performed on his live gigs. Liam Noble is one of the forefront modern pianists in London. His career has included recordings with musicians such as Phil Robson, Tom Rainey, Drew Gress, Ingrid Laubrock, Tom Rainey, Stan Sulzmann, Chris Biscoe and Randy Brecker. Bassist Oli Hayhurst moved to London in 1995 to study at The Royal Academy of Music. He has since worked in a wide range of musical fields and played with, amongst others, Gilad Atzmon’s Orient house Ensemble, The Zoe Rahman Trio and Jim Mullen. New Yorker Gene Calderazzo has been a long-term resident in the UK and has played drums with the likes of Sting, James Moody, Phil Woods, Benny Golson, Ulf Wakenius, Gary Husband, Evan Parker and brother Joey Calderazzo. Gene is also a visiting tutor at The Birmingham Conservatoire, The Royal Academy of Music, Trinity and The Guildhall.